I have a couple units returned to me from Amazon. They are unused, have been inspected, and have all required parts. Introducing the Urban Worm Bag Version 2.0! Create organic fertilizer inside or outside your home or apartment using nothing more than common household waste like newsprint, cardboard, and food waste. 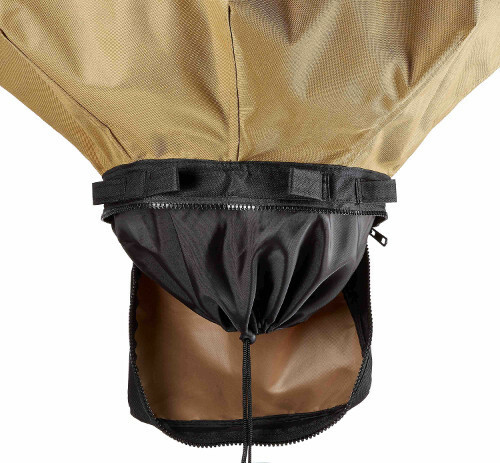 The Urban Worm Bag is built with 900D oxford fabric lined with a water-resistant, but breathable liner. 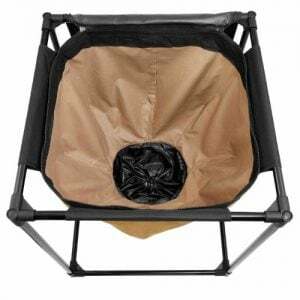 It features marine-grade zippers on the top and bottom to allow for easy feeding and harvesting as well as a lightweight iron frame that will not bend or droop under a full load. The “overseam” stitching is reinforced and will not tear at the seams, even under the stress of 120+ pounds of vermicompost. *New in Summer 2018, the Urban Worm Bag now features an interior drawstring enclosure which provides a layer of protection for your zipper, ensuring easy harvesting. 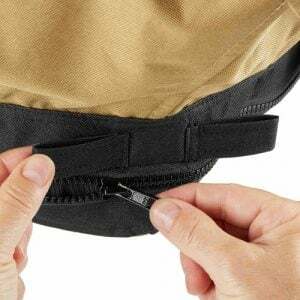 It also features a slightly taller frame, stronger corner connectors, ungraded stitching, and double zippers on top to allow for feeding from any side of the Bag. The Urban Worm Bag was designed with durability in mind, allowing me to offer a lifetime warranty on materials and workmanship. Vermicompost is its own living ecosystem, potentially full of beneficial bacteria, fungi, hormones, all standing ready to breathe life into your soil. Your composter needs to breathe too. The Urban Worm Bag’s fabric construction helps you maintain aerobic conditions throughout the entirety of your vermicomposting process. The Urban Worm Bag uses the highly-efficient, but incredibly simple continuous flow concept found in the world’s top vermicomposting operations. Unless your vermicompost contains fibrous or woody material, your finished product could be ready to use as-is. No screening. No sifting. Just apply to your plants, soil, or growing medium.